Directories can be made using vinyl lettering or machine-engraved plastic. There are many styles to choose from. 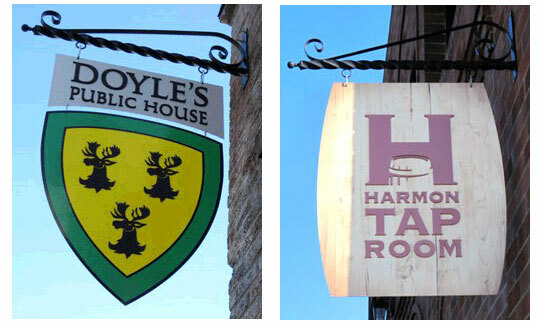 A custom logo can be applied on the sign with spaces for directory strips that slide in and out. 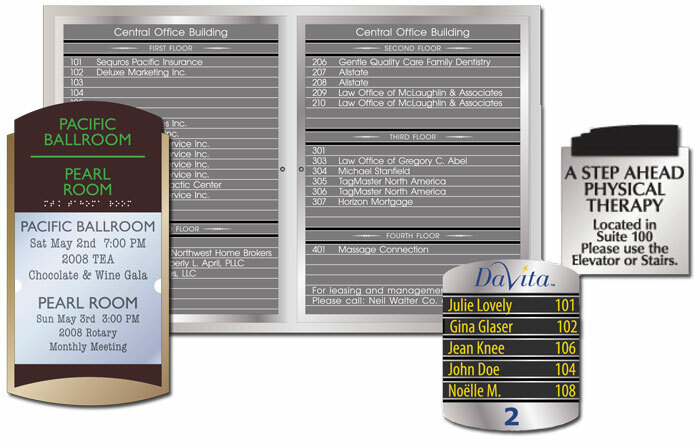 We can also make large directories with ADA Braille for meeting or banquet rooms. We can combine plastics or metals with vinyl lettering, graphics and machine engraving. We can even manufacture directory strips for a sign that you already have.